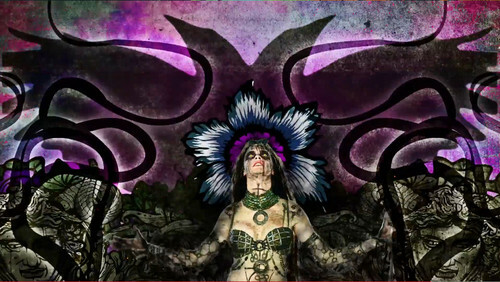 Advance Ticket Promos - Enchantress. кепка, колпачок from the Advance Ticket character promos.. HD Wallpaper and background images in the Suicide Squad club tagged: photo suicide squad movie 2016 advance tickets character profile promo cara delevingne enchantress june moone. This Suicide Squad photo contains аниме, комиксы, манга, анимационные фильмы, комикс, мультфильм, and книга комиксов.